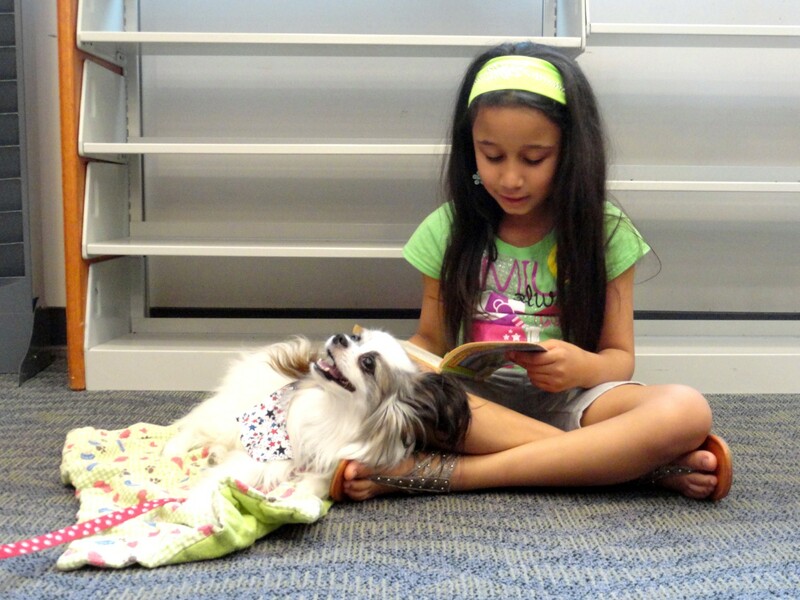 Would you forgive us if we shared photos of cute kids reading to cute dogs. Jay and Fragg share a book at our Mentor-on-the-Lake Branch. These photos are from our monthly Paws to Read program. 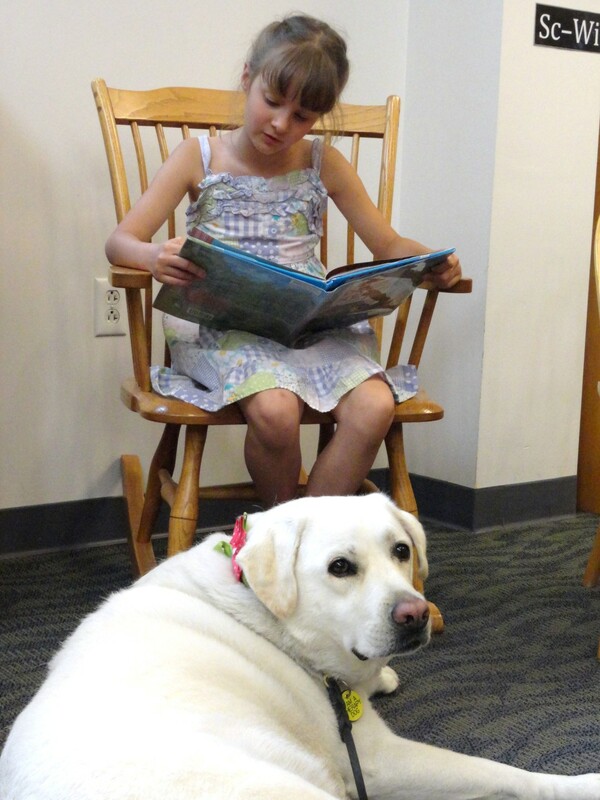 It pairs young readers (between the ages of six and 12 years old) with therapy dogs, who listen to the children as they read. Caesar nuzzles in as Amarys reads to him. The next session is slated for June 18 at our Main Branch and registration for it begins on June 14. 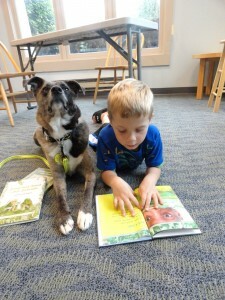 Registration fills up quickly, so contact the children’s department at Mentor Public Library soon if you think you child could benefit from Paws to Read. Maria and Hannah take a break from reading. There is often a waiting list for the program once registration begins. For more information on Paws to Read and other children’s programs at Mentor Public Library call (440) 255-8811 ext. 221. 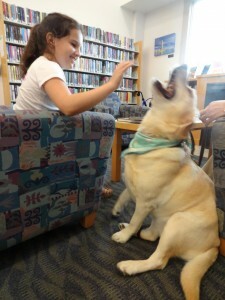 And for more photos from our most recent Paws to Read session, visit our Facebook page. Bela reads the adventures of CatDog to Hayley. This entry was posted in Uncategorized and tagged Paws to Read. Bookmark the permalink.